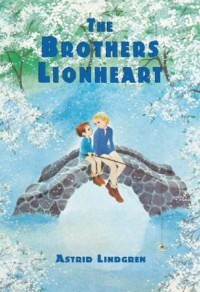 The Brothers Lionheart by Astrid Lindgren is my first book for the Martel-Harper Challenge hosted by Dewey. It's a children's book with unusually serious and dark themes. I picked it up from the library in the Italian translation. Ten-year-old Karl and thirteen-year-old Jonathan are the two Lion brothers, later nicknamed Lionheart. 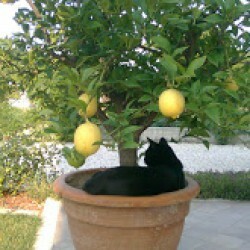 Karl (nicknamed by Jonathan "Rusty", "Briciola" in Italian) is skinny and terminally ill, so he must take to bed. Jonathan cheers him up by telling him of Nangijala, a land in "the campfires and storytelling days", where people go after they die on Earth. On Nangijala, Jonathan says, they will be happy and live together. Shortly afterwards, Jonathan dies in a fire burning their home, trying to save his brother from the flames. Karl is sad, but soon he dies as well and finds his way to Nangijala, where the two brothers share a house. In Nangijala they have adventures: Together with a resistance group they lead the struggle against the evil tyrant Tengil, who rules with the aid of the fearsome dragon Katla and her firebreath. I found this book peotically written. While Jonathan is the medieval hero, blond, handsome and fearless, Karl is the anti-hero, the short, skinny boy who overcomes his fear and gets to live wonderful adventures with his adored brother. I liked this book very much, and found it suitable for adults as well as children.